Heat the butter and sauté the onion and mushrooms for approx. 5 mins. Add the wine and stock, bring to the boil, then reduce the heat, cover and simmer for approx. 10 mins., puree. Add the cream and tomatoes and gently heat through. In a frying pan, gently fry the bacon until crispy. Add the pine kernels, fry for about another 2 mins., remove and pat dry on kitchen paper. 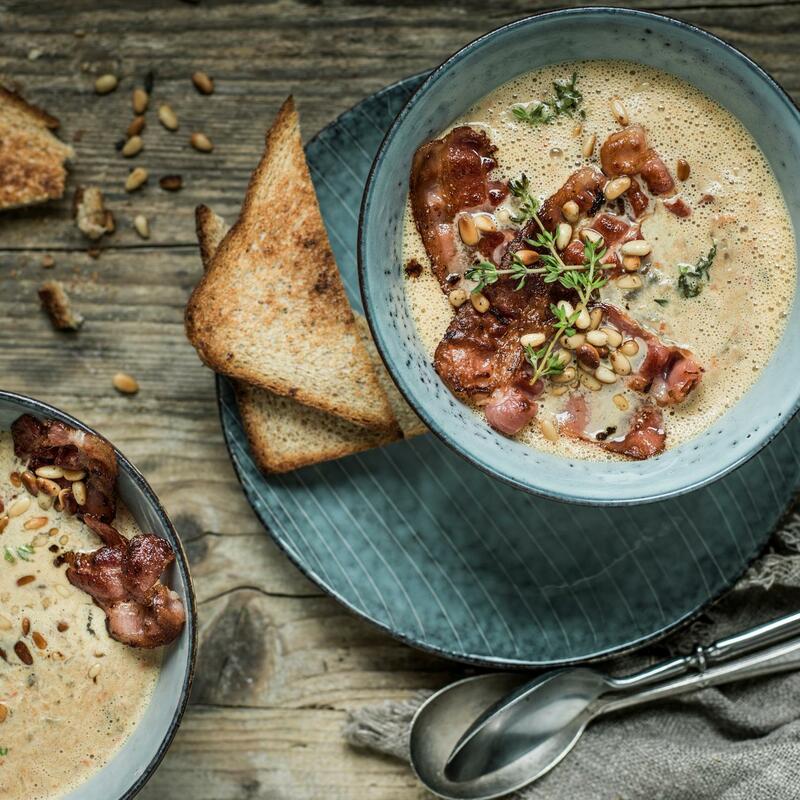 Mix together pine kernels, bacon and thyme and divide onto the mushroom soup.